Ireland is surrounded by some of the most beautiful, rugged coastline in the world and the waters that help carve the coast are a pretty special place with an abundance of fascinating marine life. On world animal day, here’s five magnificent marine creatures you can find around the Irish coast. Seals are like the adorable dogs of the ocean! A bit clumsy and awkward on land but at sea they are magnificent swimmers, moving swiftly and gracefully through the water. 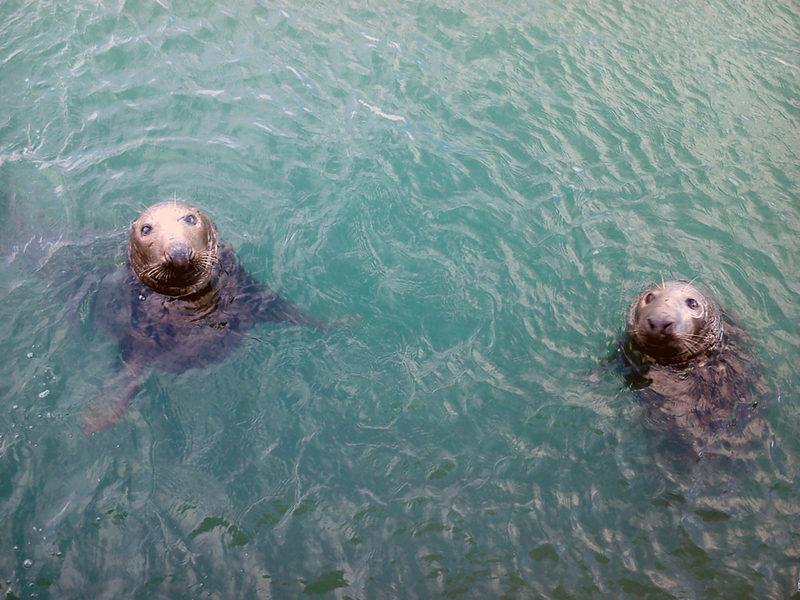 There are two native species of seal swimming about Irish waters, the grey seal and the common seal. Grey seals are the more common of the two and can be found all around the Irish coastline, preferring the more isolated spots. Common or harbour seals prefer more sheltered areas. We spotted these guys hanging around their regular haunt at the Quay Fish Shop on Dun Laoghaire harbour, hoping to grab a snack! But don’t let those big eyes fool you, they can be dangerous and give you quite the nip so be careful not to get too close, after all they are wild animals. Don’t panic but there’s sharks out there in Irish waters! In fact there are around 10 species of sharks that come to Ireland to enjoy our rich seas. These include the Blue shark, Short finned Mako, several types of dogfish and the most impressive the Basking shark. These guys are the second biggest shark in the world and can measure up to a whopping 11 metres. They visit Ireland from late April to late July to feed, but don’t worry these giants are gentle souls and aren’t out for human flesh, they much prefer to chomp down some tasty plankton. 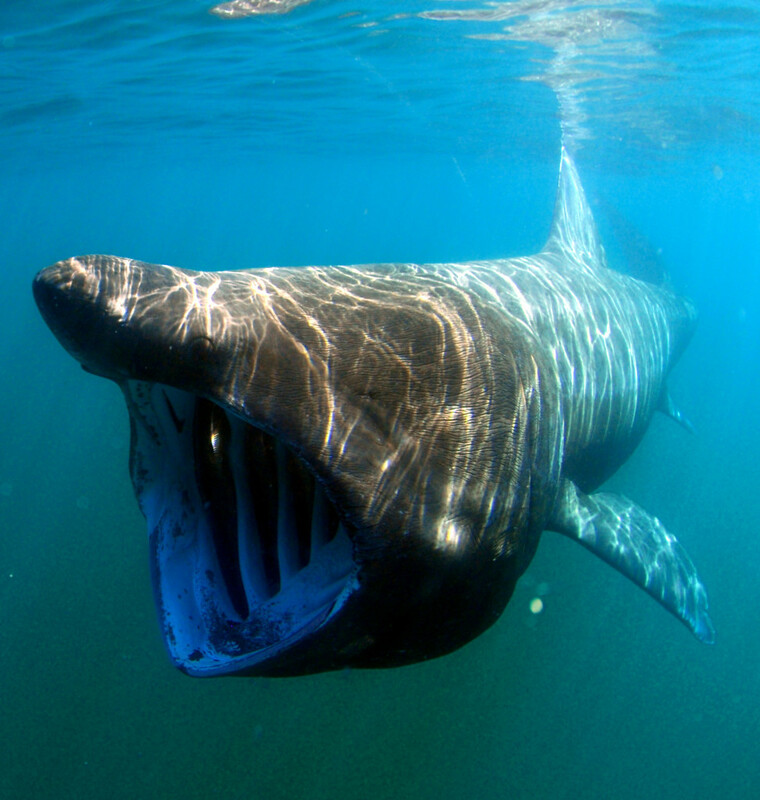 Some of the best places to keep an eye out for basking sharks include Hook Head, Co. Wexford, Dungarvan Co. Waterford, Kinsale Co. Cork, Brandon Co. Kerry and Achill Island Co. Mayo. 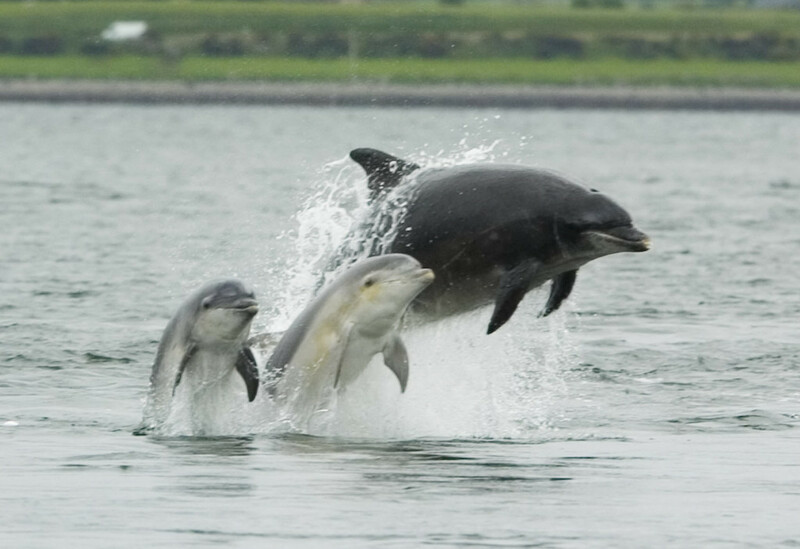 We’ve all heard of Fungi the famous Bottlenose dolphin who’s made Dingle Harbour his home, but he’s got plenty of friends hanging around, especially around the Shannon estuary which has the largest population of Bottlenose dolphins all year around. Other species of dolphins include the Common and the Risso. The West is the best place for a bit of dolphin watching. There’s numerous boat trips that will take you out and if you’re lucky you might see some of these acrobatic creatures put on a show! Ireland is one of the best countries in Europe to whale watch, it’s actually Europe’s first whale sanctuary which shows our commitment to protecting these magnificent creatures and their natural environment. 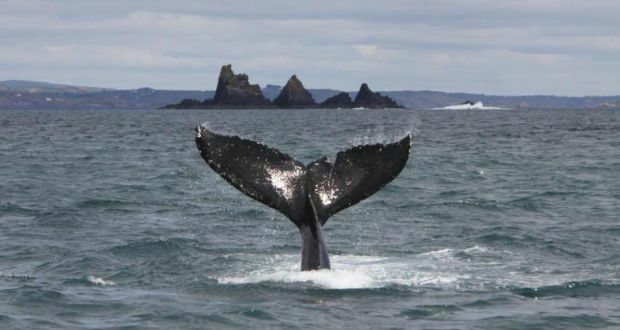 Over 20 species of whales have been spotted off the Irish coast including Minke, Fin and Humpback. 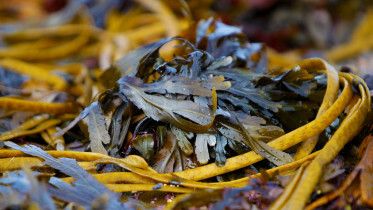 Ireland acts as the perfect stopping point for these creatures to grab a bite as they travel across the Atlantic. West Cork, Clare and Donegal are among the best places to spot our Cetaceans friends! Ancient monks, hermits Jedis and thousands of Atlantic puffins call the picturesque island of Skellig Michael their home. These colourful creatures flock to the island to spend the summer months there to breed and feed their chicks on the local cuisine of Sand eel and Sprat. 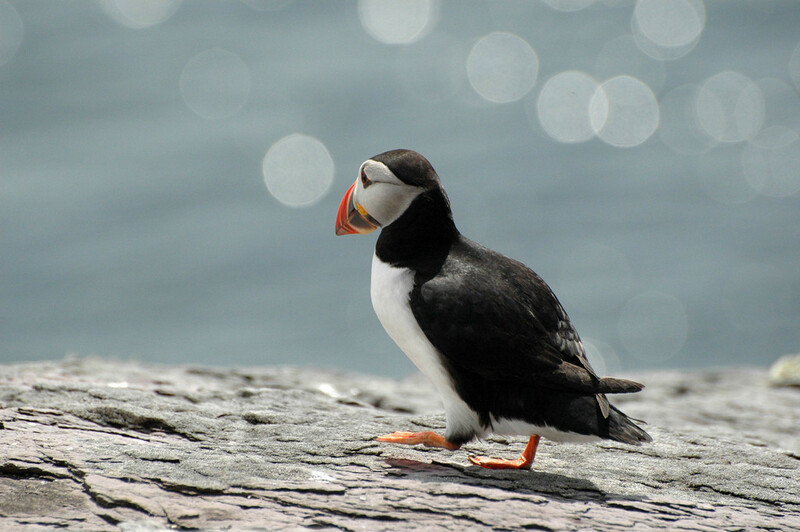 The puffins arrived en masse each year in April and stay til late August. They join a whole host of other birds that nest on the island all year round including Shearwaters, Kittiwakes and Fulmars. For the best chance to see any of these animals your best bet is heading out on a boat trip with experts you know where to look. There’s a lot of great tours to choose from so here’s a few suggestions to get you started!